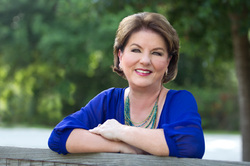 After being named a finalist in the Writer's League of Texas 2009 Manuscript Contest, Linda Bennett Pennell set her heart on becoming a published author. She experienced the thrill of that dream coming true on July 10, 2013 when her debut novel, Al Capone at the Blanche Hotel, was released by Soul Mate Publishing. She is delighted that the novel has been well received by readers and reviewers alike. Linda would like to thank those who have read and reviewed Al Capone at the Blanche Hotel. Your wonderful support and generous praise have meant more than mere words can express. It is a great joy that her second and third novels, Confederado do Notre (2014, Soul Mate Publishing) & Casablanca: Appointment at Dawn (2015, The Wild Rose Press), have been warmly received, as well. Providing a good experience for readers is what makes all the hard work worthwhile. Linda is active in writer's groups including the Writer's League of Texas, the Historical Novel Society, Romance Writers of America, and Northwest Houston RWA. When she is not busy tapping away on the keyboard on behalf of her latest work-in-progress, Linda enjoys spending time with family and friends, volunteering with various local non-profits and her church, singing with the Texas Master Chorale and church choir, and researching future projects. She resides in the Houston area with her husband and their German Shorthaired Pointer, a dog who is quite certain that she's a little girl.